The Pupillow outdoor beanbag by Fatboy invites you to sunbathe and spend hours relaxing outdoors. 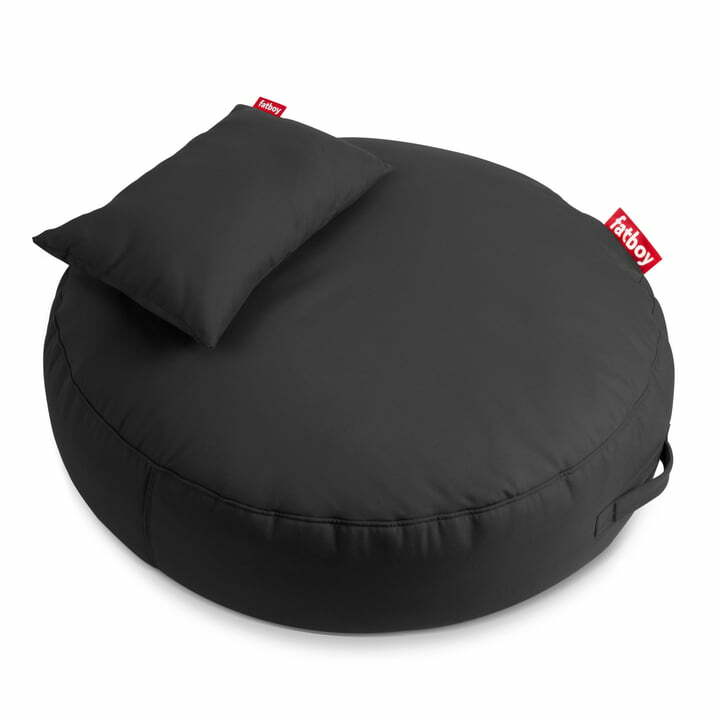 Thanks to its diameter of 120 cm, the round seat cushion offers enough space to lie down. The soft filling consisting of ESP pearls and flakes of foam adapt perfectly to the body and ensure comfort. The cover designed for outdoor seating consists of polyacrylic, which is water- and stain-resistant as well as being lightfast, easy to clean and surprisingly comfortable. Should the cover ever get dirty, it can simply be wiped down with a damp cloth or washed at 30°C in the washing machine. Despite its water-resistant properties, it is recommended to bring the Pupillow indoors when it rains. The straps on the sides make it easy to get a hold of the beanbag when transporting it. The Pupillow outdoor beanbag is available in various colours that can be combined to create a comfortable seating area. If the matching Pupillow cushion is not enough, more cushions can be ordered to make the beanbag even more comfortable. Isolated product image of the Fatboy - Pupillow outdoor cushion. The soft filling from ESP pearls and flakes of foam that adapt perfectly to the body provides for comfort. Isolated product image of the Fatboy - Pupillow outdoor cushion in red. The round cushion creates a comfortable atmosphere in any garden, patio and balcony.